Added by The Japan Society on April 15, 2019. In 2002, one year after 9.11, the Okinawan writer Sakiyama Tami published one of her most provocative essays, entitled “Shimakotoba de kachāshī” (“Inciting with Island Words”). 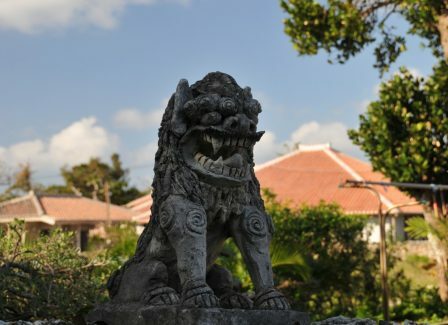 Split into three parts, the essay targets standard Japanese (hyōjungo) as a monolithic language symbolic of hegemonic oppression and assimilation before setting out the agenda for Sakiyama’s own literature: to turn the hybrid tongues of Okinawa into a site of radical difference and resistance. Sakiyama’s essay, and the works of fiction that followed it, exemplify this approach to language through their conflicted narratives written in multiple scripts. Scholars argue that these narratives develop the writing strategies of “linguistic terrorism” as defined within Gloria Anzaldúa’s Borderlands: La Frontera. However, Sakiyama’s essay invokes terroristic tropes directly, describing the writer as a “suicide bomber” who is poised to plant Okinawa’s vernaculars into the Japanese language “like bombs”. The destructive implications of such language are problematic and have limited the broader readability of Sakiyama’s work. Yet, they also illustrate the ongoing crises of language, memory, and resistance that inform postwar Okinawan creativity. By tracing contexts of imposed linguistic assimilation in Okinawa and right-wing historical revisionism in Japan that inform these works, this paper reads Sakiyama’s fiction both as a call to resist the forces that threaten Okinawa’s individual voices, and as a an attempt to engage with the region’s unspeakable histories of its traumatic wartime past.